SKU: N/A. Categories: Clothing, Skirts, SS17 Collection. 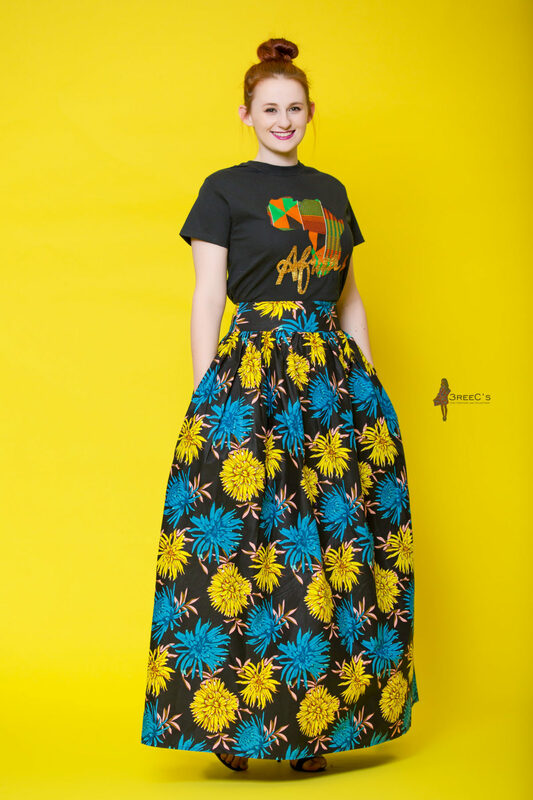 Tags: 3reec's, african print, ankara, Cotton Fabric, Dashiki, Ethnic Fashion, Floral Skirt, Freedom Collection, handmade, Kente, Maxi Skirt, Midi Skirt, Retro, skirts, Spring Fashion, Spring Style, SS17, Tribal Print, vintage, Wax Print. 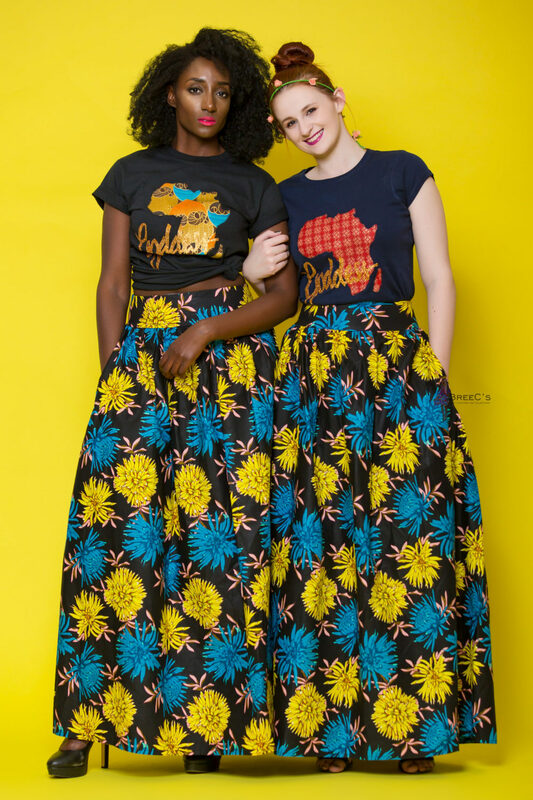 Colorful blue, yellow and coral floral print, made from wax print on 100% cotton fabric (Ankara). Skirt has a zip to the back. 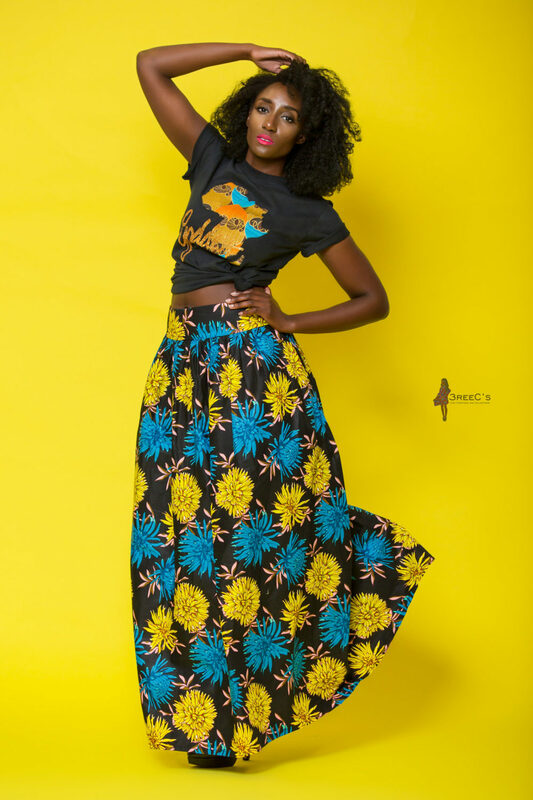 Style Tip – Skirt can be worn with a white off shoulder crop top and a coral shoulder bag.